ARMAMENT CONSULTING FOR THE ENTERTAINMENT INDUSTRY. We are a armament consulting company based in Bavaria, Southern Germany, in the foothills of the Alps. Germany is known for its high tech armament solutions, so we thought we should bring that knowhow to the entertainment industry. We are known for and particularly proud of our believable, functional, and appealing design consultations. Most of our projects started with a request to do the weapon consulting for the client and evolved into doing gadgets, props, and other work for their projects. 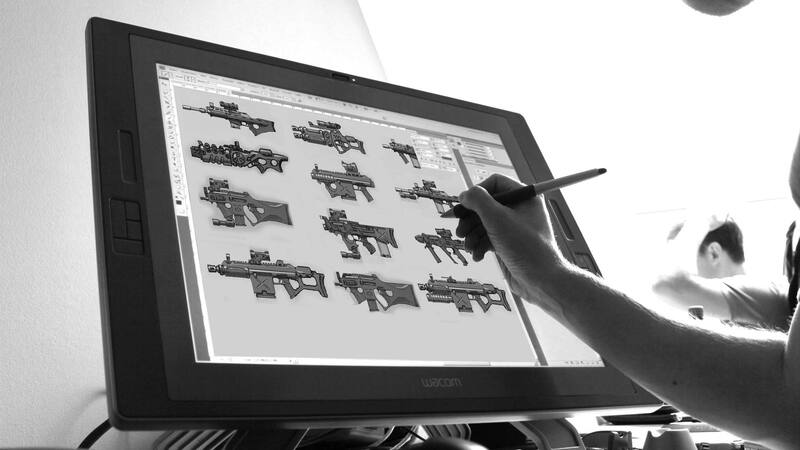 With our art director being ex-military we also provide weapon consulting. Most of our competitors just throw around weapon parts and reassemble them to weapon designs that look good but would not work or are ergonomically wrong. Doing this damages the plausibility and overall feeling of every project, a fact that mostly goes unknown to clients. The problem is this hinders the player’s sense of immersion and stresses their suspension of disbelief. With our know-how your projects armaments will look great and most importantly, feel real. © 2013 rmory studios. All rights reserved.